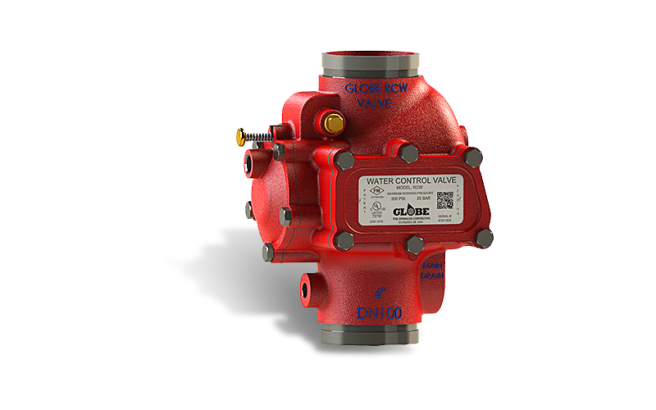 Globe is proud to introduce the new cULus listed/FM-approved Model RCW Water Control Valve for dry pipe, preaction, and deluge applications. The RCW has been engineered to mitigate many of the field issues historically seen with hydraulically operated differential-style valves. One common valve body is used for all system types. The valve and trim options have been engineered to meet the most important needs of both the installer and the end user. The valve is offered in groove-by-groove configuration.